Another Year at AFIDOCS. Four days of back to back documentary films in Washington, DC (and Silver Spring, MD, though we stayed downtown this year.) We’ve been going since 2014 and each year has a different feel. 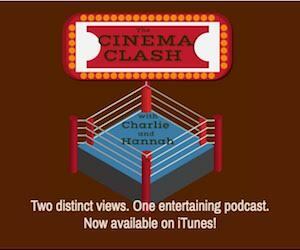 Mainstream Chick and I saw a few together, but quite a few films only one of us saw, so check back to see her takes, or head to the Cinema Clash Podcast for our post-fest discussion. This time the festival felt pared down, though there were some amazing films. I was particularly interested in the films about women and girls and was not disappointed. There were a few happy surprises and I was left with a lot of questions and inspiration. The Opening Night film was Icarus, which was essentially two different documentaries combined. The first and original story was of an elite amateur bicycle racer who believed that all the winners were doping and getting away with it. The director used himself as a guinea pig to see how the use of performance enhancing drugs might improve his racing, comparing his performance from the year before with his post-doping time, and finding out how to do it on the down low. It was through this “experiment” that he met Dr. Grigory Rodchenkov, the lead scientist at the Russian State Anti-doping Lab, and Grigory led him straight into the Russian Olympic Doping scandal. What begins as a personal story becomes an international intrigue thriller with Grigory in hiding from Putin’s hit-men in the US, and hundreds of Russian Olympians losing their medals. While it is a very interesting story, it is way too long. The bicycle story pales in comparison to the International Doping Scandal story. I think the director fell in love with his footage. (That’s a Doc101 no-no.) Still, when it arrives on Netflix, it is worth a watch. No trailer yet, but here’s a bit of an explanation for the film. The Girl Down Loch Änzi was one of my favorites of the festival. In it, Laura, a 12-year old farm girl high in the mountains of Switzerland becomes fascinated with the local legend/ghost story of a woman who was thrown into the deep chasm of Loch Änzi and imprisoned there forever. A number of quirky locals weigh in on why it happened, while Laura spends hours gazing down into the gorge with her binoculars and writing in her journal of her loneliness and hopes for her future. And ultimately she makes the trek to see the mysterious ghost all by herself. It’s a girl power story — sweet, and magical, and entirely uplifting. ACORN and the Firestorm tells the disturbing tale of one of the great social justice organizations’ downfall orchestrated by a fake viral news story. ACORN (Association of Community Organizations for Reform Now) was community organizing at its best, helping those at the fringes claim some dignity and power. But in 2008, a right-wing news story came out suggesting that they were corrupt, and that they were manipulating voter registrations and misusing federal funds. James O’Keef and Hannah Giles shot the now notorious “pimp and prostitute” hidden camera videos that were edited to distort the facts and manipulate the truth, and even though it was later shown that they were false, the damage was done and the good people who had worked so hard had to close down the organization. What is disturbing in the film is that Hannah Giles seems never to have understood how damaging her actions were. But in the end, the people running ACORN are still out there doing their good work. Waiting for the Sun is a hard one to watch. It takes place in China, where the children of fathers and mothers sent to prison are taken into an institution called Sun City, run by the grandmotherly Mama Zheng. There they live in dorms and go to school and life is rather orderly and on the surface, pretty nice. But these kids are all suffering emotionally. The filmmakers were smart in which kids they focus on. There is an adorable little orphan named Strawberry, some triplet boys, twin girls with a brother, and several others who you just want to reach through the screen and hug. The filmmakers also catch some abuse by a house parent (through a window at night), and the difficult reunions with parents. Many of the kids don’t want to visit them or don’t want to go home. It is a very sad situation, but not a story you’ll read about anywhere. And just below the surface lurks the feeling that much of Mother Zheng’s benevolence may be a front. Trophy is a smart film. It takes on a very emotionally fraught issue. How do we save endangered species from extinction? The film doesn’t have the answer, but it grapples with some controversial subjects. The first guy we meet is a hunter. We follow him to a huge convention hall in Las Vegas where big game hunters can bid on killing lions and elephants and other big game. Of course the justification is that the money will go towards conservation, though I’ve never found that a rational argument. But then we head to Africa and a farm where rhinos are being raised. Their horns are cut off every two years and saved for a time when they’ll be legal to sell. And this brings up the question of selling this fairy dust. The man who owns the rhino ranch thinks it is the way to go. He wants to teach the poachers to harvest horns instead of killing the animals. But then we’re back with the hunter and he’s out to kill lion, elephant, hippo and it is hard to take. The elephant cries. And at the periphery of the story are the people who live near the big game and whose lives are impacted when the lion eats their livestock or the elephant tramples their fields. You’re left with a lot of questions that call out for answers. How do we keep these animals alive forever? No trailer available. It will be in theaters in September. Recruiting for Jihad is an up close and personal appraisal of Norwegian Muslim Ubaydullah Hussain, a supporter of ISIS who’s bringing more young men into the jihadi fold, including blond, blue-eyed Norwegians. During the filming, the Charlie Hebdo and Paris nightclub bombings happen and Hussain applauds the actions. He’s enjoying the publicity and probably using the filming as a recruiting tool. It’s very uncomfortable that the filmmakers never call him on being a horrible person, but they know they would have lost their opportunity to get so close. They do, however, ask him why he’s not heading to Syria himself and he explains that he has a health condition. The audience laughed.